For the last 10 years, Insight has offered managed IT services for businesses of all shapes and sizes. Whether you have 5 employees or 100+, we have you covered. With the addition of becoming our own phone provider in 2018, we can now take care of your phone and fax needs as well. Now offering full featured hosted VoIP services with unlimited minutes. Powerful monitoring and patching tools to prevent problems. We provide enterprise class antivirus to help protect your network. 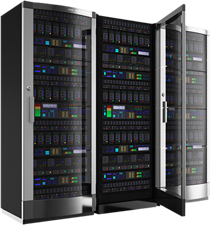 Let us handle your offsite data backup so you can sleep well at night. As an Office365 partner, we can manage and implement your cloud email solution. Get your business back up and running ASAP after disasters by reducing downtime.